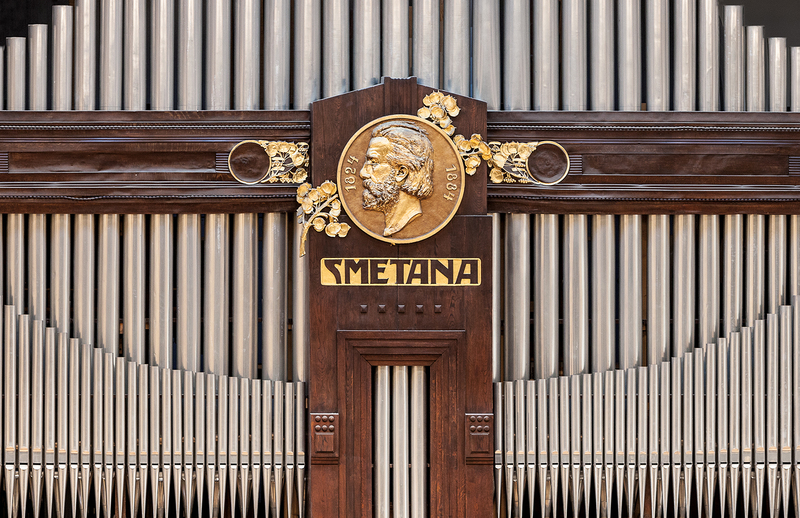 Smetana Hall is the central area of the first floor and of the entire Municipal House The organ is decorated with a medallion of Bedřich Smetana. Initially, especially the Czech Philharmonics played in the Smetana Hall and since 1942 the hall has been the main hall of the Prague Symphony Orchestra FOK, which has been here till today. 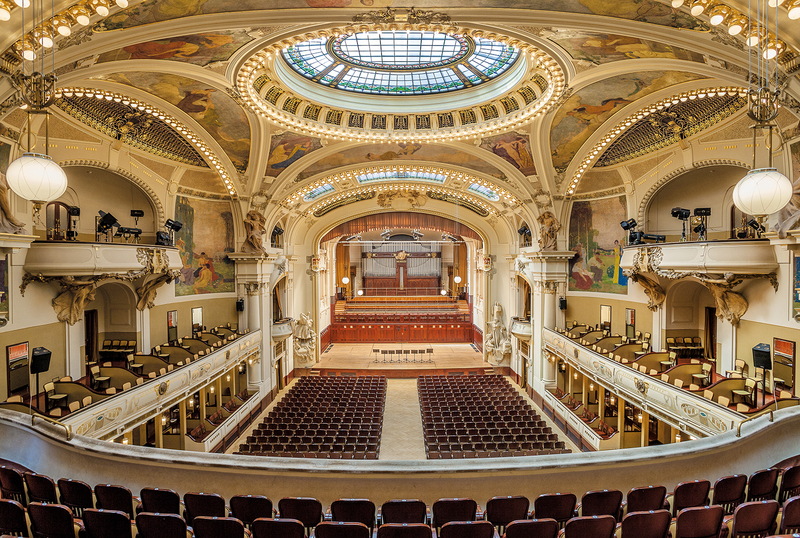 The Smetana Hall is a regular point of the most important concerts of the Prague Spring. The seating capacity at the concert arrangement is 1259. Note: Smetana Hall is closed to the public for technical reasons till March 17, 2019. More info: www.fok.cz.